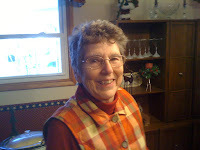 This guest review is from my mom, a fearless reader who is just as likely to pick up an historical biography as the newest Dean Koontz. Whenever I had cause to think about Theodore Roosevelt, I always came away with a feeling of awe and amazement at this larger-than-life man–with his ever-present monicle and his large toothy grin and his seemingly unstoppable manner of living. After reading THE ROOSEVELTS by Peter Collier (Simon and Schuster), I was even more impressed with this marvelous family that had given us two presidents, both seeming larger than life. It seemed that nothing could stop or humble this family. And then I read RIVER OF DOUBT by Candice Millard; and I saw Teddy Roosevelt become just another man fighting for survival, no longer a giant, but a man who was nearly defeated by his own aims and goals and by his daring life-style. It was quite a revelation. 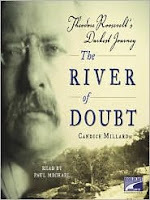 RIVER OF DOUBT is the story of Teddy Roosevelt's exploration of rivers in South America in the early 1900s and of all the challenges they faced and met with varying degrees of success. His perils were closely related to that of his son Kermit and we got to know both father and son not as invincible but as men facing the challenges that were nearly too much for any man to survive. The book is full of interesting details of the flora and fauna of this amazing region that we know today as the Amazon. Much was unknown then which caused this exploration to be fraught with all kinds of emergencies brought on by both man and nature. We became well acquainted with Rondon (a native Brazilian) who along with his loyal followers were well-versed in much of the life of the Amazon. Even they could not have predicted the choices by the untamed tribes of Indians or that Father Zahn’s lack of preparations would be nearly fatal to the expedition. We saw the conflicts between the goals of the two men–Roosevelt and Rondon-- and we lived the terror that they went through. It is not an easy book to read, but it is a fascinating book that teaches you well of the times and diverse regions of our earth. It is not a book for the faint-of-heart; it is one that you will be grateful you have read when you are finished. And you will meet a new face of the mighty Teddy Roosevelt. Thanks Mom! I'm looking forward to being able to post more reviews from both of my parents. See, didn't I tell you they were both really smart?! Wonderful review. Teddy Roosevelt is one of those presidents I know I like even though my knowledge of him is quite limited. This book sounds fascinating and is going on my tbr list for 2010. Thanks. Thanks for the review! I listened to this book on CD in the car, and I think it was probably easier listening than reading it. I bought this book right after it was published but have not yet been motivated to read it. This excellent review has motivated me to read it. Thank you. I have this one on my list too. I read this book a couple of years ago and absolutely loved it. I am fascinated by Teddy as well and I agree that this book shed a whole new light on his character. I thought the father/son dynamics were interesting and wondered how different this voyage would have been had Teddy done it when he was a younger man. Thanks for the guest review! Fabulous review! Wish my Mom was a 'fearless' reader ~ my Aunt loves to read and while she does surprise me now and again, I wouldn't call her choices 'fearless'!!! great review! That looks like a definite maybe for my list. awesome! this looks really good. Fantastic review - I've been meaning to read this book for awhile. I need to move it up my list!